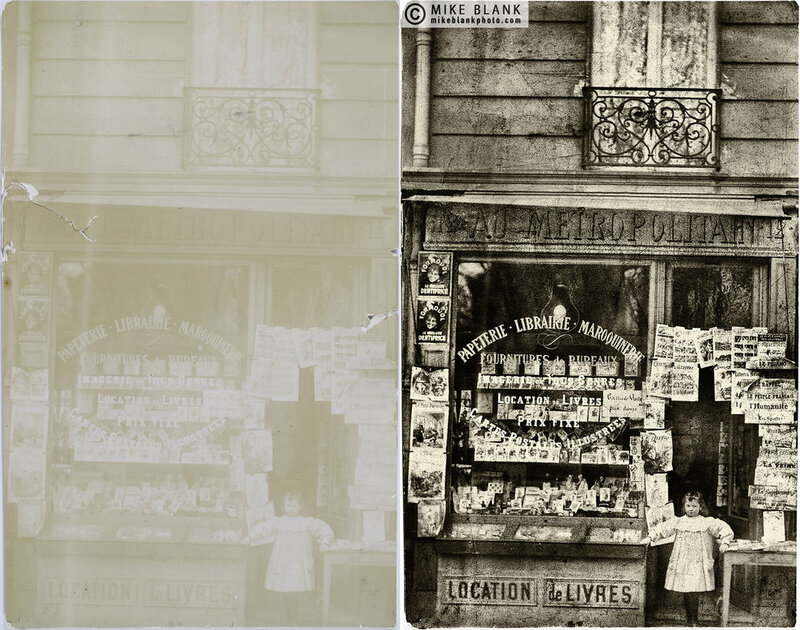 For a restoration project such as this, where information is missing from the original, but where I'm not working for a client, my aim is to achieve credibility, not necessarily authenticity. The headless man on the far left of the original has been assisted by 5 other men in the image who have kindly donated various body parts and items of clothing. My grandfather Bernard (Berish) Blankleider, Poland 1890s. 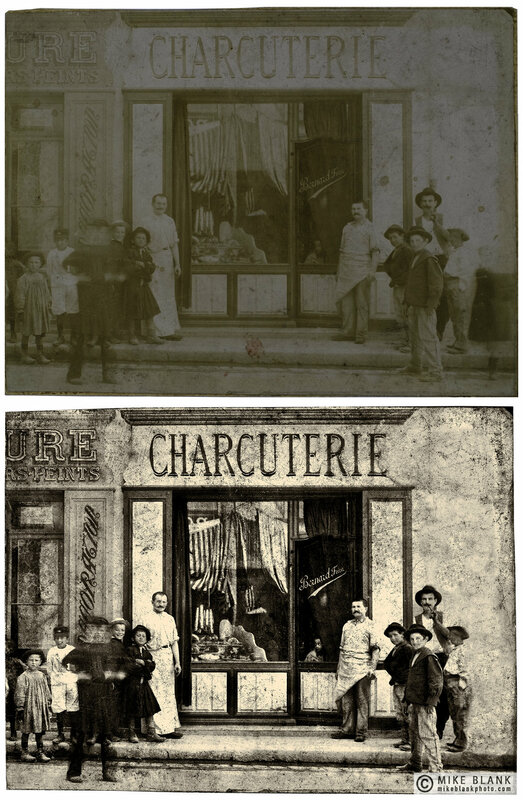 Digital restoration. 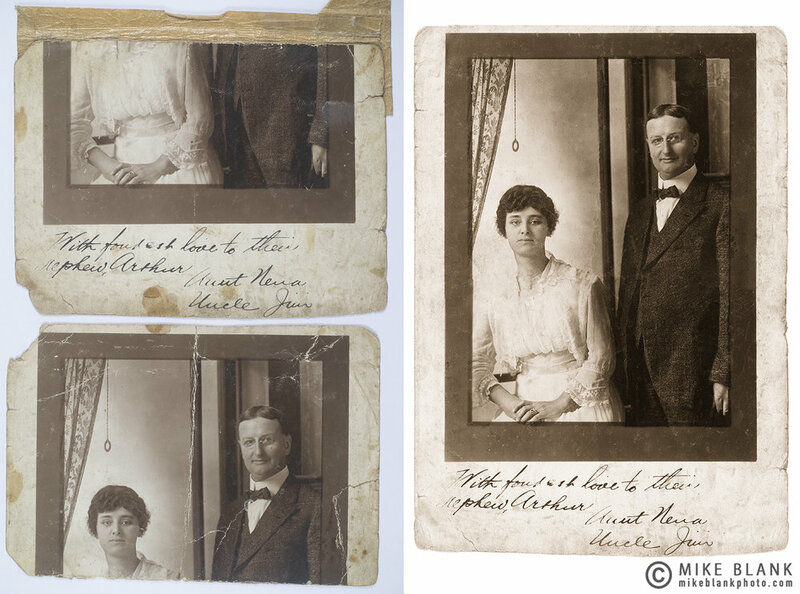 Digital restoration: My father with his parents circa 1928? 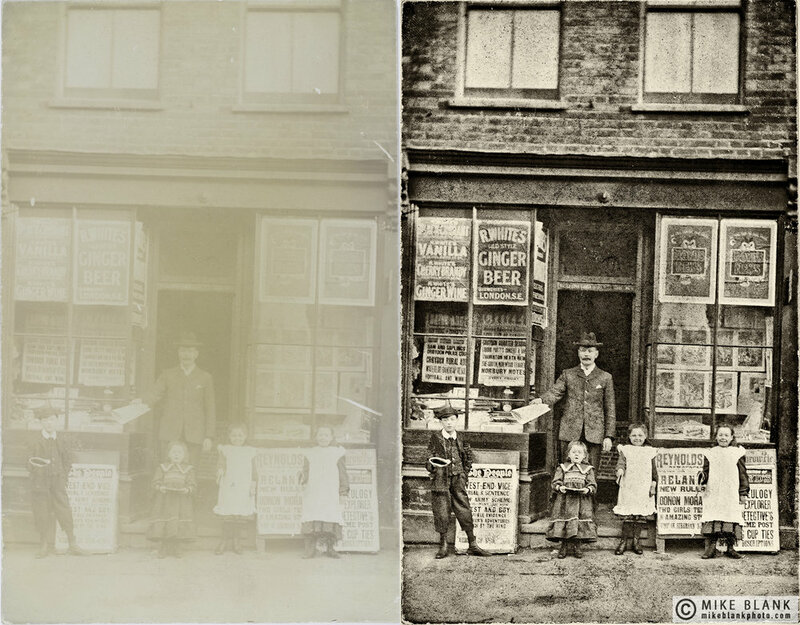 Digital restoration: My father aged about 6 (in the foreground, by the photo number), Bournemouth circa 1928. 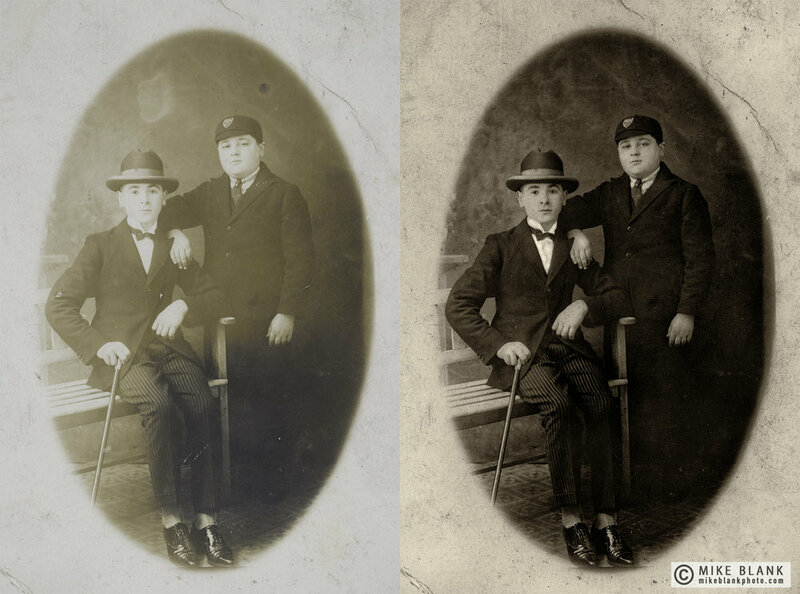 Digital restoration: my lovely uncles Joe (seated) and Jack (standing) circa 1923. 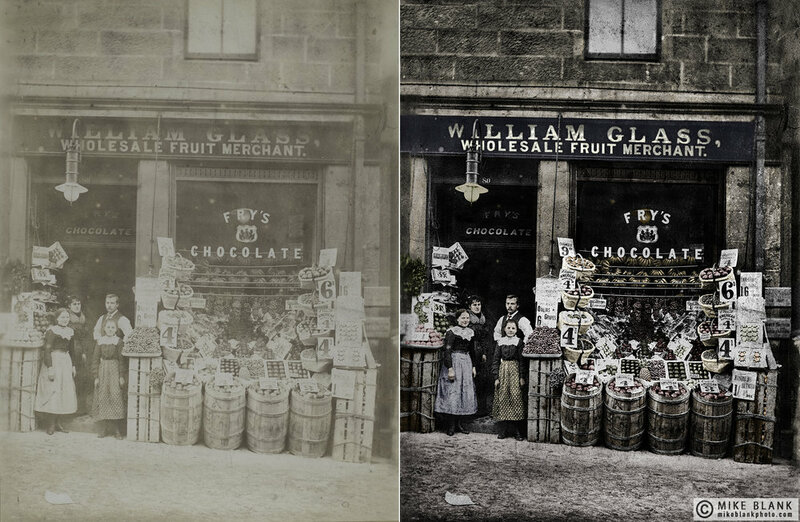 I don't know how old this image is but I assume it is pre WW1.